Now to use this script follow the below given steps. Open any facebook group in which you want to add your friends in a new tab. After opening the group go to Console tab. After pasting the script press enter and wait for 15 seconds.A flash box will appear and Your friends will be automatically being added in your group. After your all friends are added box will look like this. Now see I used the script to add friends.I was having 466 friends and my 423 friends got added in that group.Now you will be thinking why 42 friends are not added.So my answer is that they were already in that group. Now refresh the page and see the magic.Congratulations you have successfully added your all friends in your Facebook group. Also Read: How To Tag All Friends In A Facebook Comment With A Single Click? 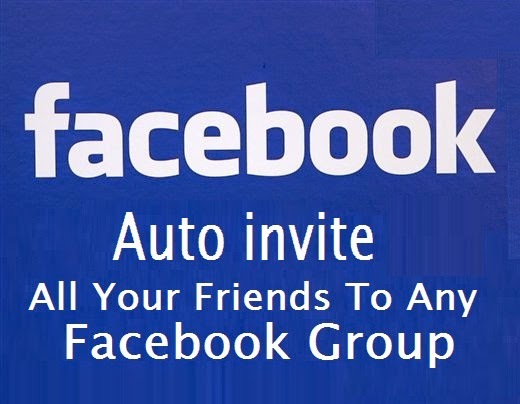 I tried my best to explain you how to add your friends in your facebook group at once and now is your turn.Please dont be selfish and share this tutorial with you friends.If you are having any problem feel free to ask.Dont forget to share your experience about this tutorial.I will be eagerly waiting for your response. Next articleHow To Auto Tag All Friends In A Facebook Comment With Single Click?